Rock your wedding or party with this giant ice cube! Use those frames to hold onto your memories (Sold on-site). Add a little sparkle to your photos with a sequin backdrop! 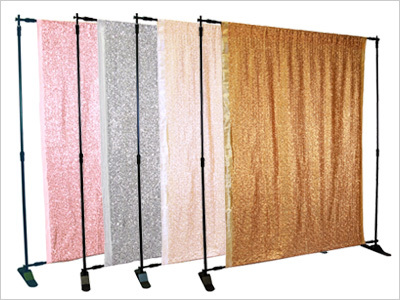 These beautiful shining backdrops are handmade with thousands of real shimmering sequins, we have all the colors for you to choose from. You can also use your own backdrop or a specific location with cool backgrounds. 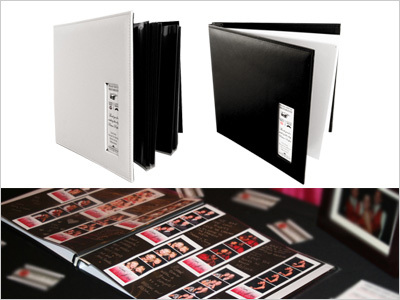 Our scrapbook is a great way to relive your event for years to come. Specially for weddings, they make an excellent alternative to a traditional sign-in book. 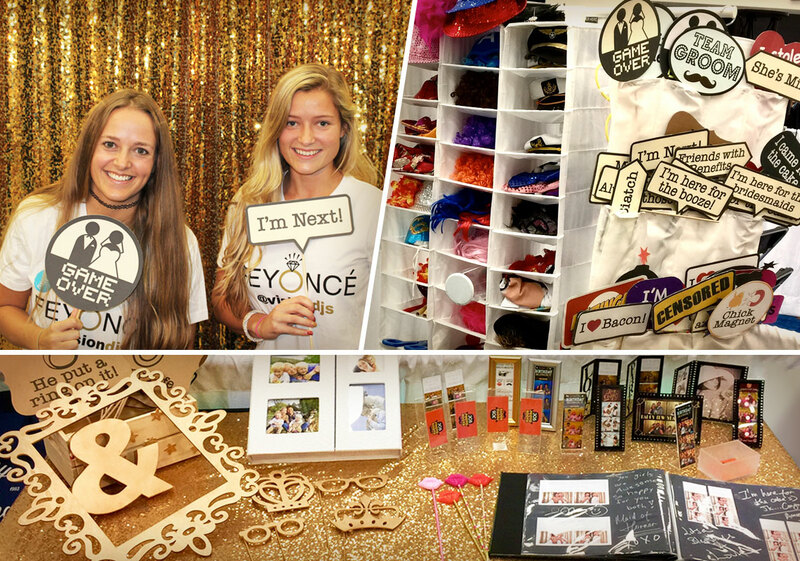 Your scrapbook will be crafted by your photobooth attendant during your event, and will be ready to be taken home with you at the end of your event. 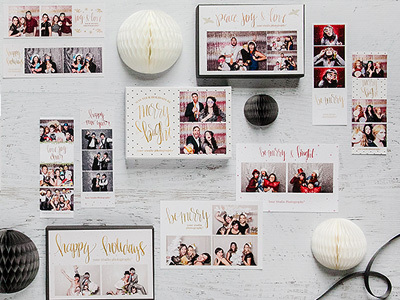 We’ll provide your guests with everything they need to help personalize your scrapbook, your guests can leave handwritten messages alongside their photos. Choose from white or black cover and white or black inserts, the scrapbook is 12"x12" with 25 inserts, each insert has 2 sides, that's 50 pages, each page can fit in 3-4 photo strips (2"x6") with plenty room for messages, entire album can hold 150-200 photos! Our one of a kind video message feature will allow you to record a 10-second toast or personal endorsement. With this amazing new feature you can congratulate the bride and groom, make a new year's eve resolution, or just about anything you want to say to your friends and family, and share the video to your friends on social media. Snap, snap, snap! Make your pictures come alive with 3 to 4 consecutive shots, which will follow each other in rapid succession. You can change your expression, your stance, and your props for various different and fun visual effects, and don't forget to share it on your social media. Missed the action? Wish you could be part of the funny photo of your friends? 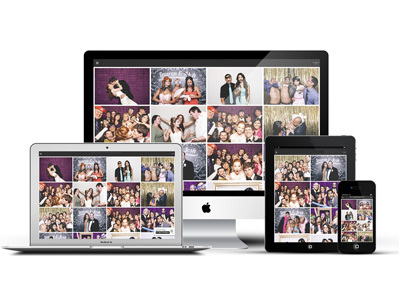 Don't worry, you can access all of the photos from your event 24/7. You can download, print and share all your favorite photos for free. You will find all the photos taken at your event under the EVENT PHOTOS section. All the photos will be uploaded within 48 hours. Our graphic designer will custom tailor your photo template for free! We know your event is as unique as you are, that's why each photo strip should represent your style and vision, whether you like modern, retro, vintage, classic or just about any other style, we will make it your own. Choose from 2"x6" or 4"x6" templates. It's like shooting Hollywood movies! 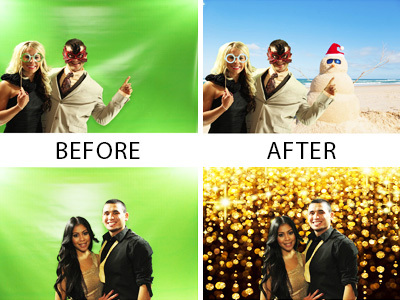 With our green screen technology you can choose just about any background that comes to mind, as fancy as it sounds, you can be on an island paradise on one photo, and rocking a classic Gatsby party the next, you name it we can make it happen! We have over 500 digital backgrounds and we are constantly adding more. So why stick to one boring fabric backdrop when you can have 6 or more digital backgrounds for each session? We can also save your budget by generating your own Step and Repeat background in the green screen, you will be amazed how real it looks. 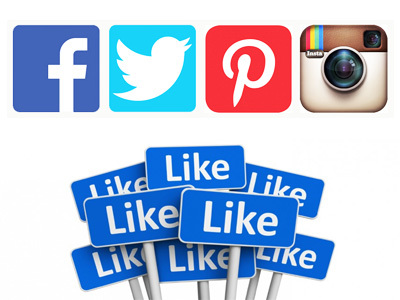 Instantly showing off the photos on Facebook or Twitter, just snap and click and you are getting likes from your friends! You can add custom captions and hashtags to all your favorite photos to really make everyone jealous. 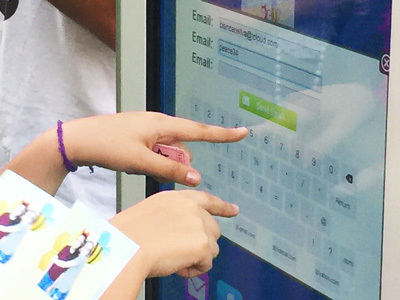 Our 32-inch touch screen make it so easier to send the photos to your phone and your emails, you can send up to 3 email address at a time. Our photobooths are always connected to WiFi to ensure high speed uploads. 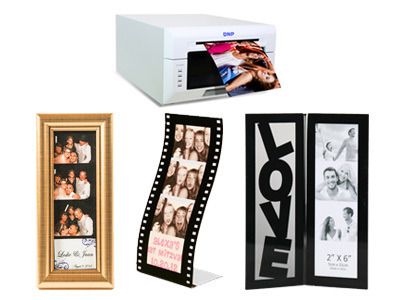 With the add-on option of our top of the line dye sublimation printer you can print unlimited, high quality 2"x6" or 4"x6" photo strips in 8 seconds. We also have a large collection of beautiful photo frames and magnets for you to purchase on-site, price range from $2 to $5. No photo booth is complete without the props. These things can really spice up any photo and highlight the fact that you are having a lot of fun. You are probably already aware of the fact that when it comes to taking photos, you can either be serious or wacky. 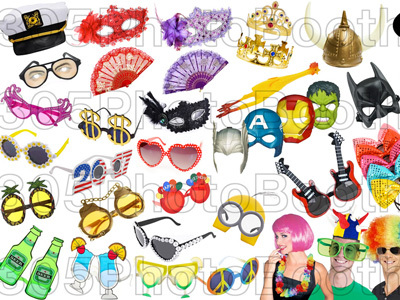 Well, nothing can highlight the fact that you are being wacky more than the use of as many photo props as you desire, we have over 100 props for you to make up your own expression. 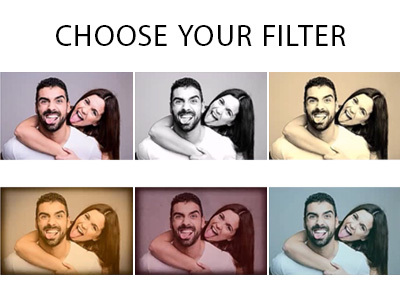 We have many filters to choose from, such as cartoon, sketch, B&W, night vision, thermography, sepia, comic book, cross process, pixel art or mosaic. Try them all until you find the effect that makes you the happiest. “The best in the biz. 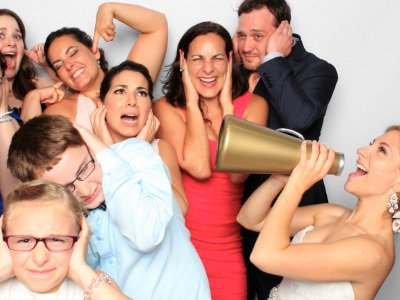 I've worked with many photobooth companies and none even come close to these guys. Their photo booth is very different and the coolest thing I've ever seen! Not only that, but they are easy to work with, prompt, professional, fun, generous... and make party planning easy! They're definitely my go-to guys for photo booths now!!!!" "It has proven to be a correct choice as an engagement for our company events. Our guests and employees loved it, it created social amplification when people shared their photos and it’s great for our brand. Their inflatable photo booth is awesome and caught a lot of eyes. It's really fun and pleasant to work with them." "It really made the event, I have to say! Before I knew it I was getting tweets and facebook likes. What a great way to promote business and for people to just have FUN. Win win for everyone! I booked them again for my sister's wedding, they are awesome!!"